New research by the University of Bristol in collaboration with Medical Detection Dogs has found that the best trained alert dogs have the potential to vastly improve the quality of life of people living with Type 1 diabetes. As reported in PLOS One, on average trained dogs alerted their owners to 83 per cent of hypoglycaemic episodes in over 4,000 hypo- and hyper-glycaemic episodes that were examined. A hypoglycaemic episode is where blood sugar drops dangerously low and if left untreated, can lead to unconsciousness or even death. The findings confirm that alert dogs can help Type 1 patients regulate their blood sugars in a non-invasive way and avoid the risks of hypoglycaemic episodes and hyperglycaemia. In this study, researchers from Bristol, assessed the reliability of 27 trained glycaemia alert dogs, whose owners provided six to 12 weeks continual worth of blood records detailing every time the dog was alerted. Medical Detection Dogs train pet dogs to respond to respond to the odour of human disease and help owners live with life-threatening diseases. Familiar with their owners, dogs are conditioned to respond with alerting behaviours when their owners’ blood sugar levels fall outside a target range. Encouraged by the alerting behaviour of their pet dog, if such out-of-range (OOR) episodes occur, the patient can take appropriate action, usually by administering insulin or eating to retain the right glucose levels. Dr Claire Guest, Chief Executive and co-founder of Medical Detection Dogs, said: “The findings are fantastic news for all those who are living with Type 1 diabetes and other conditions. Medical detection dogs primarily serve patients looking for more effective and independent ways of managing their condition. “Our dogs also serve the wider medical community by offering proactive solutions that are natural, non-invasive and have been shown to provide countless psychological benefits. The effect of movies featuring dogs on the popularity of dog breeds can last up to ten years and is correlated with the general success of the movies, according to new research from the University of Bristol, the City University of New York, and Western Carolina University. The researchers used data from the American Kennel Club, which maintains the world’s largest dog registry totaling over 65 million dogs, and analysed a total of 87 movies featuring dogs. They found that the release of movies is often associated to an increase in popularity of featured breeds over periods of one, two, five, and ten years. The influence of movies was strongest in the early twentieth century and has declined since. Additionally, they found that these trend changes correlated significantly with the number of viewers during the movie’s opening weekend, considered as a proxy of the movie’s reach among the general public. This suggests that viewing a movie may cause a long-lasting preference for a breed that can be expressed years later, when the time comes to buy a new dog. 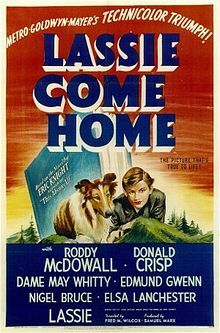 The 1943 hit Lassie Come Home is associated, in the following two years, with a 40 per cent increase of Collie registrations in the American Kennel Club. 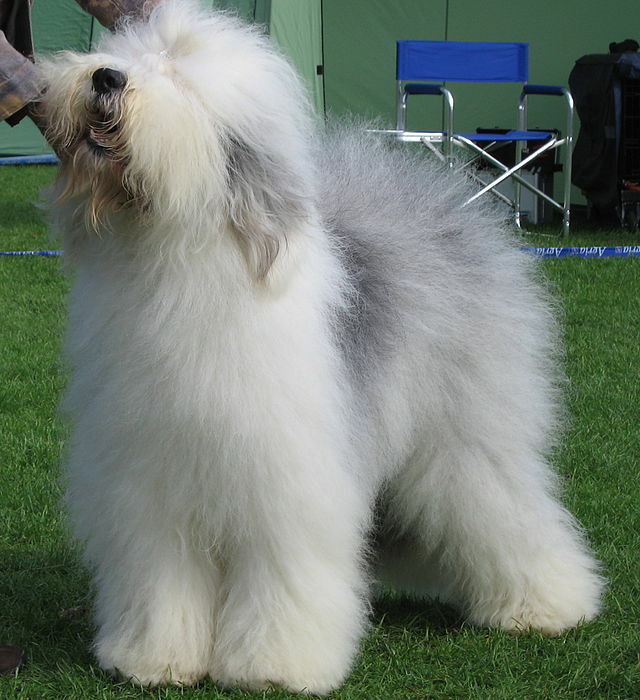 An even more dramatic example is the 100-fold increase in Old English Sheepdog registrations following the 1959 Disney movie The Shaggy Dog. Earlier movies are associated with generally larger trend changes than later movies. This might be due to an increased competition with other media, such as television, and more recently, the internet, but also to an increased competition among movies. Movies featuring dogs were released at a rate of less than one per year until about 1940 but a rate of more than seven per year by 2005. Dr Alberto Acerbi, a Newton Fellow in the Department of Archaeology and Anthropology at the University of Bristol and co-author of the paper said: “If people buy en masse dogs because they appear in movies the consequences can be negative for the dogs themselves. Our previous study found that the most popular breeds had the greatest number of inherited disorders. Syringomyelia (SM) is a painful condition in dogs that is more common in toy breeds like the Chihuahua and the Cavalier King Charles Spaniel. It involves the formation of fluid-filled cavities, known as syrinxes, in the spinal cord. In these toy breeds, SM is usually secondary to a specific malformation of the skull called Chiari-like Malformation, CM for short. New research conducted at the University of Bristol’s School of Veterinary Sciences has identified two significant risk factors associated with these painful neurological conditions. Identifying a head shape in dogs that is associated with these diseases would allow for selection away from these conditions and could be used to further breeding guidelines. Dogs were measured in several countries using a standardised “bony landmark” measuring system and photo analysis by trained researchers. 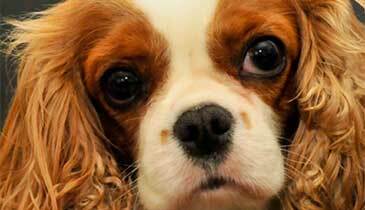 The researchers found two significant risk factors associated with CM/SM in the skull shape of the Cavalier King Charles Spaniel. These were the extent of the broadness of the top of skull relative to its length, also known as brachycephaly, and the distribution of doming of the skull. The study suggests that brachycephaly, with resulting doming towards the front of the head, is associated with both conditions. This research has been published online in the journal Canine Genetics and Epidemiology. 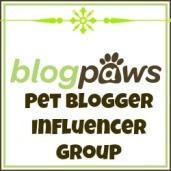 Please also see my earlier post on Your dog may have a permanent headache, which discusses the Chiari malformation and earlier research on the Griffon Bruxellois. Researchers from the University of Bristol School of Veterinary Sciences have investigated the occurrence of anxiety from exposure to noise and the risk factors for these behaviours. 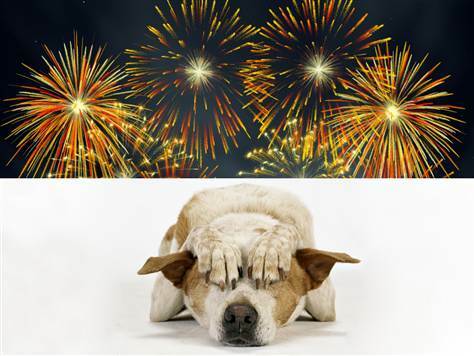 Almost half of the owners who were interviewed reported that their dog showed at least one behavioural sign typical of fear when exposed to noises such as fireworks, thunder and gunshots, even though only a quarter had reported their dog as ‘fearful’ of noises. This suggests that while owners are aware of their pet’s behavioural response when exposed to a loud noise, they do not necessarily recognise this as being indicative of fear or anxiety. And when owners don’t recognise anxiety, they don’t seek help for it. Less than one-third of dog owners sought help for their dog’s anxiety. The most commonly reported behavioural signs were vocalising, trembling/shaking, hiding, and seeking the comfort of people. Since trembling and shaking are human responses to fear and anxiety, it seems like these behaviours were recognised more easily. Other behavioural signs, such as decreased activity or salivation, did not appear to be recognised as often (possibly resulting in under-reporting). Also, signs of urination, salivation and destruction may make owners disappointed or angry, and this may over-ride the association with anxiety. Risk of anxiety induced by noise increased with age and origin. If dogs lived with the owner who bred them, they had a reduced risk compared to dogs purchased from the breeder by a second owner. The researchers suggest a dog’s early life experience is an important factor in the development of fear response. The researchers recommend there is a need for veterinarians to increase awareness among the general dog owning public about anxiety induced by loud noises and to direct them towards appropriate sources of help. (By the way, I’ve worked with dogs using a programme of de-sensitization and relaxation techniques to help treat anxiety). Researchers at the University of Bristol’s School of Veterinary Sciences have published their research, which supports the need for ongoing worming of dogs and the need for owners to clean up their dog’s poo. At issue is the parasitic worm, Toxocara, which are a rare cause of disease in humans, responsible for occasional cases of abdominal pain, loss of sight, and potentially asthma and epilepsy. Using data from the University, the researchers estimated relative contributions of dogs and the other hosts of the parasites, cats and foxes. With the help of additional information from a previous study, the researchers estimated that nearly four tonnes of dog waste are produced in Bristol each day and nearly 1,000 tonnes throughout the UK. Given that each adult female worm can lay 12,500 eggs or more per day, this equates to around 3.7 billion eggs shed per day within the city of Bristol. “These results are not all that surprising but they are likely to differ widely between places. We provided a method for estimating different sources of contamination with Toxocara eggs anywhere in the world. This will hopefully help locally appropriate control measures to be put in place. The data also provides a baseline against which future changes can be measured, as we currently lack any good evidence of how effective steps such as anti-fouling legislation are in reducing egg load and human disease” says Dr Eric Morgan the lead author of the paper. The research team’s findings have been published in the journal Veterinary Parasitology.